Carefully consider your interests, capability and the research needs in the field in order to formulate a research topic, together with a proposed research location. This can be developed further once you have a supervisor supporting you, but in order to approach a possible supervisor, you must have some idea of what you would like to study – the more focused the better. 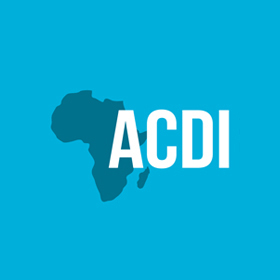 Look through ACDI’s Member Chairs and Associates, and the research Centres that ACDI works with at UCT. Read through their research areas and identify a person whose interests align to your research topic. Search for their contact details in UCT’s Staff Directory or by Googling them (not all of ACDI’s affiliates are based at UCT). Contact them and let them know that you are interested in pursuing a PhD at UCT and are looking for a supervisor. Provide them with your proposed research topic. Clearly indicate whether you have funding already. If they are unable to supervise you, try your next choice. You can also check for opportunities on UCT’s PostGraduate funding site and noticeboard. You can also sign up for ACDI’s newsletter which frequently advertises funding opportunities. Applications for PhDs must be submitted to academic departments. Please check the application process with the relevant academic department. ACDI does not process PhD applications.